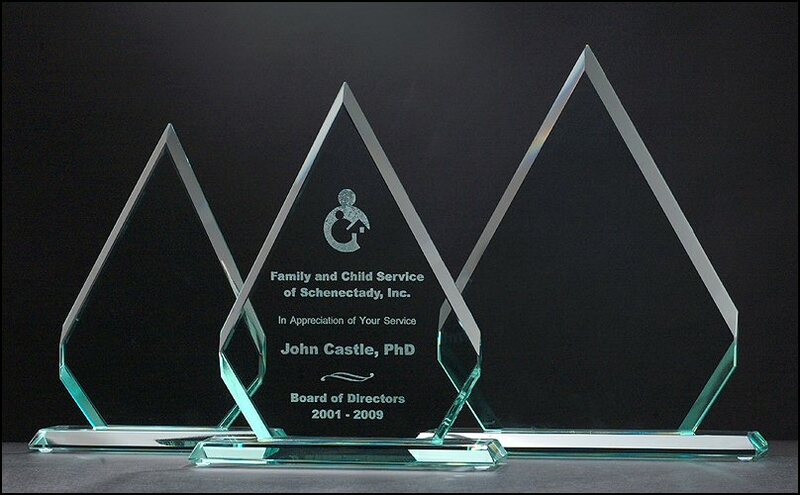 Great, economical priced jade tinted glass trophy that will make any award ceremony special. 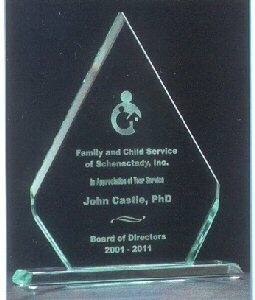 Jade green tinted diamond shape glass award with free engraving. Before shipping, a proof will be emailed for your approval. Presented in a beautiful padded gift box.